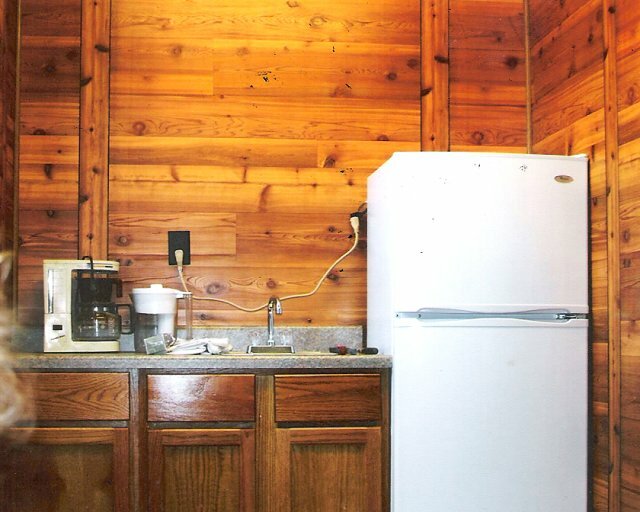 "A metal building 12x20, insulated with fancy wood paneling. Has kitchen sink, cook table with cabinets below. New refridgerator, ceiling fan/lights, plugin places, new small A/C mounted in tiny window. There is a regular size window to the left of (one) door. Has bathroom with lavatory containing new style instant water heater, closet,commode, shower bath. Carpet on floor."